Commissioned by Cor Unum Ceramics, David Derksen was asked to design a new piece in the theme of Jheronimus Bosch, a painter from the 15th century. His work is known for the fantastic imagery and he seems to have taken his inspiration from nature when he was creating his sometimes hallucinating paintings. Born as Jheronimus van Aken, he changed his last name to Bosch, after the city of Den Bosch, meaning ‘at the forest’. 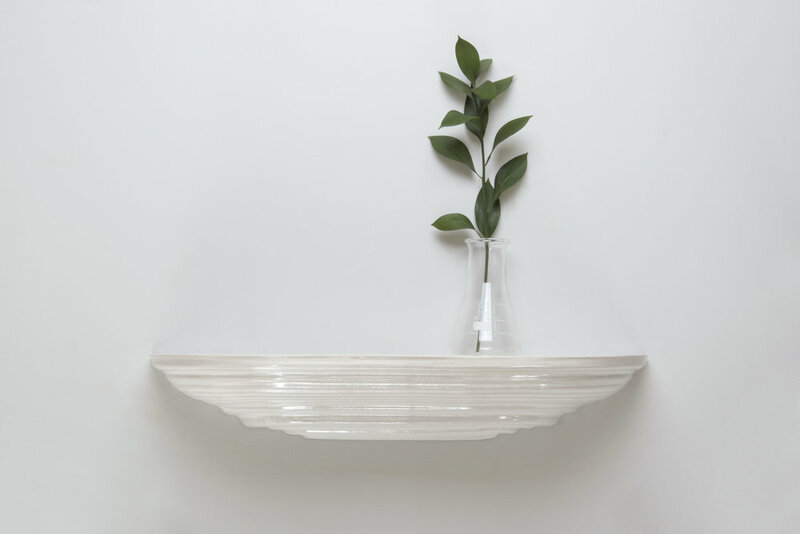 Walking in the footsteps of Jheronimus, fantastic pieces of nature such as mushrooms and bracket fungi have been used as starting point for the design of a series of wall shelves. The shapes of the bracket fungi have been transformed by taking their cross sections and extruding or rotating them. 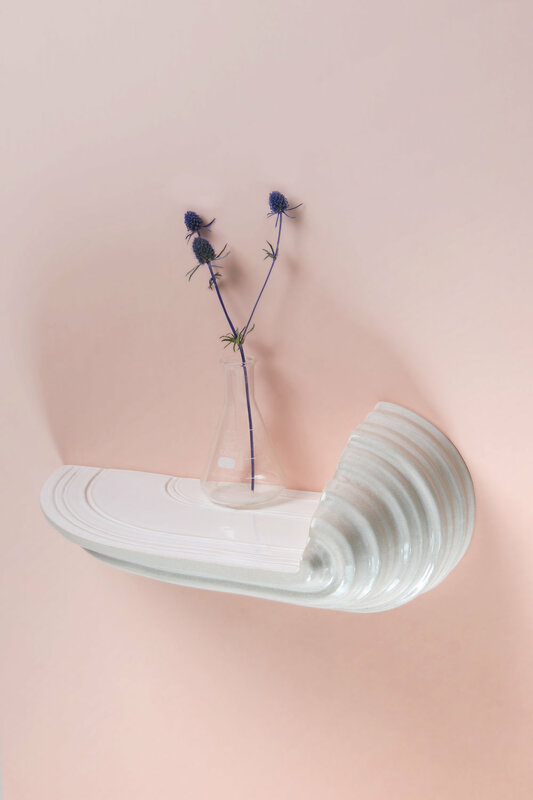 These transformed fungi shapes have been cast in porcelain and function as decorative wall shelves. Installed on the wall, they give a hint of the fantastic nature from where Jheronimus Bosch drew his inspiration.